Drilling down into Map Printing Specs: What ink colors are needed to print your map? 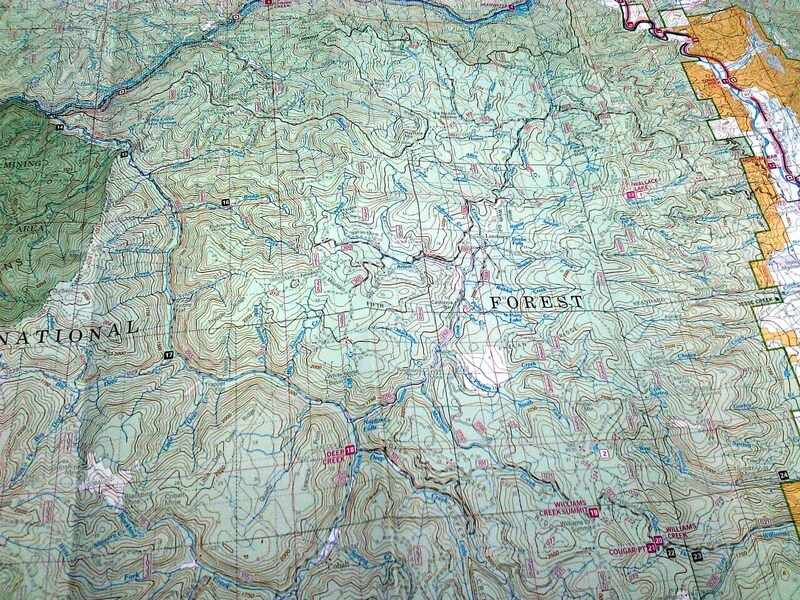 In previous posts, we discussed choosing map paper and determining the best size for your map. This time we will talk about map printing ink colors. Most maps start out as 4 color process. Due to legibility and print registration issues, you may want to make some elements print as a spot color. A spot color is an ink that is not one of the four process colors (black, cyan, magenta, yellow). On maps, spot colors are frequently used to print elements that are not well reproduced via four color process. This could include fine line work or small type. Printing a brown contour line, using screen dots of process colors, can result in fuzzy lines because the dots do not visually produce a hard edge. With small type this can result in fuzzy type which is difficult to read. Drainage type, on maps with lots of green tints, is frequently printed in a blue that is substantially stronger than cyan. This is so that the type doesn’t drown in the cyan screens creating the green tints. Starting at around 40%, drainage lines and type can start to become lost in the heavier cyan screens. A way around this is to print the drainage lines and type in a stronger blue. Currently PMS 300 seems to be in vogue although in the past reflex blue was a favorite. Spot color or 4 color hill shading in combination with land status tints is another important color consideration for map printing. Without any refinement, the hill shading can change the color of the land status or in some cases obliterate it. The dot values in the hill shading layer need to be compressed such that the screens in the lower elevations drop to zero. This allows the land status to be discernible. Likewise allowing the dot values in higher elevations to tend toward solid would make type, etc. difficult to read if not illegible. Another reason for a spot color could be the color itself. If you look at a process color guide that has a swatch of the spot color next to a swatch of the equivalent process build you will note that the process builds only accurately reproduce the color about 50% of the time. Colors that are integral to a brand have to be “spot” on.